150 Facts about Hull. : Fact 61. Pickering; Dark horse of philanthropy in Hull. Fact 61. Pickering; Dark horse of philanthropy in Hull. In 1842 Christopher Pickering was born. His father was also Christopher and his mother was Jane (nee Gibson). His father followed the trade of a tailor but this was not for young Christopher as by 1861 he was living in the Old Town at Hales Entry and working as a fish curer. 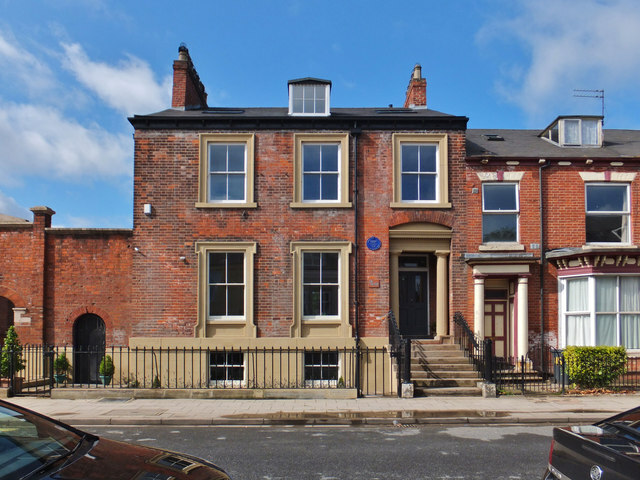 At the next census he was married to Rachel (nee Blakestone) and living off Hessle Road at Marlborough Terrace. This was the heart of the growing fishing industry and he was now a fish merchant. The fishing industry in Hull really developed in the 1840's after the Silver Pits were discovered. these were rich fishing grounds out in the North Sea, not too far from the Humber Estuary. Fishermen from Devon and Kent would come to the area for the summer and often bring wife and family to stop in the area during the season. By 1850 they were staying in Hull permanently and the ports of registry were also being changed to Hull. These wooden fishing smacks started to be built in the area also. By 1885 iron smacks were common but at this time the introduction of the steam engine was changing things rapidly. In 1866 at the age of twenty four Christopher Pickering bought his first fishing smack. By 1881 he was living at 114 Coltman Street that was a very good address. He had set up a business with one Samuel Leeman Haldane who had been born in Wakefield in 1837 and had started out as a fruit and fish merchant. Newly restored 114 Coltman Street. By this time they had about thirty fishing smacks, so called apparently due to the noise made by the sails. They realised quickly that the introduction of the marine steam engine and the use of trawling instead of drifting to catch fish was the way forward. In 1886 they started to sell their wooden smacks and by steam trawlers. In 1889 he was a rags to riches self made man and moved out to Hornsea to enjoy his money in the country. There he would have been just a name of one of the many ship owners and fishing industry magnates. By now he was the Chairman of Pickering and Haldane Fishing fleet and the Pickering and Haldane Ice Company as well as the chair of many of the industries companies. In 1908 he built six almshouses for the poor of the town to be administered by the Vicar and Churchwardens of the local St. Nicholas Church. We will never know what made him turn into a benefactor but he must have been pleased with the results as in 1910 he donated £6300 to build twelve almshouses for the benefit of ex fishermen in west Hull, not far from the heart of the industry at the docks. 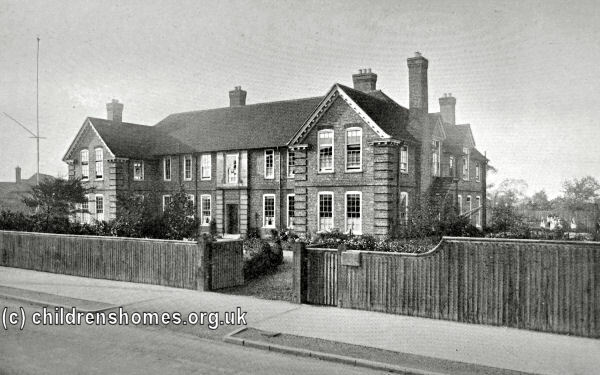 This block of houses was to form part of a 'new model village' that was to include a church and vicarage, a children's home for girls and a museum of fishing. The first twelve almshouses were built on a crescent. Over each block is an inscription saying 'These alms houses were erected, endowed and presented to the Hull Corporation for the benefit of person's previously engaged in the fishing industry or such other deserving inmates as the Corporation may from time to time appoint by Christopher Pickering Esq. JP of this City'. They were probably designed by the City Architect Joseph Hirst. Next to the almshouses was built at small museum called the Museum of Fisheries and Shipping. I remember visiting it when I was very small and seeing the skeleton of a whale suspended from the ceiling. It moved to the present Maritime museum at the Town Docks Office building in 1974 and amalgamated with other collections. However the skeleton is still on show. The old building is still there and used as a boxing club. It would have been a handy site for the the inmates of the almshouses to act as guides or help. Steve Pollard of Kingston Boxing Club outside their gym that was the old Museum of Fisheries and Shipping. A little down the road was built St Nicholas Church and vicarage. It is strange that the church was dedicated to the same as that in Hornsea. I wonder if it was due to a 'road to Damascus' event that started his good works there, or just that St Nicholas is the patron saint of seamen. Pickering Home for Girls. The home was run by the Church of England Waifs and Strays Society! The foundation stone was laid by Rachel Pickering on 30th May 1914. It was run by the Waifs and strays Society and had room for 40 orphaned and destitute girls. There is an inscription above the door that may have been laid by the Society's founder Edward Rudolph. The home finally closed in 1983 ans is now converted to flats. Maybe the centre piece of the 'model village' is the park. It is said that this was an idea put to her husband by Rachel Pickering. The site had been originally common land with rights of grazing for the locals. The build up started in 1909 when plans were drawn up and then they had to go through planning etc. The park finally opened on 13th July 1911. Pickering was to donate 30 acres of land and sold twenty more to provide the cash to build the almshouses and other buildings. In the end he gave 50 acres and sold some other land to raise money. He gave another £1000 to have ornamental gates made for the entrance. They were lucky to survive WWII as the Corporation said they were too important to use in the war effort. The park had a lake with duck houses, rock gardens and terraces and room for a band stand. Sports grounds with pavilions were separated from the park by a sunken fence. The ornamental gates to Pickering Park. The Pickering crest and motto on the gates; 'Vincit omnia veritas', or 'Truth will conquer all'. Christopher Pickering rose up from poor beginnings and grasped opportunities that came his way. He was one of the few who made lots of money from the fishing industry and put some of it back into the community. His names lives on in the park, almshouses and in Pickering Road that borders one edge of the park. My wife went to Pickering School that is no more, but there is a Christopher Pickering Primary School. As a lasting memorial to the man it seems much better than a statue somewhere. The beautiful park gates survived WWII but are now looking somewhat fore lorn. To show gratitude for his donation to the people of Hull and to have a truly imposing centre piece to the park and almshouses it would be good if they could be fully restored. The Friends of Pickering Park are trying to raise funds to achieve this. It would be great if this could receive impetus from the Year of Culture 2017, so if you can please log on to http://www.friendsofpickeringpark.org.uk/ and donate what you can. Fact 63. Land of Green Ginger is in Hull. Fact 62. Reckitts started making starch in Hull.